This kit is a "must have"! It not only flows fuel better and faster, but You can see it. Thanks Jason, Rhino is running awesome! Also added the WR high flow fuel filter! I bought a Mikuni 65L high volume pump from the "other team" and fuel line setup was not good. Same as other reviewer with black rubber block off on one pump output and fuel line that did not fit well. 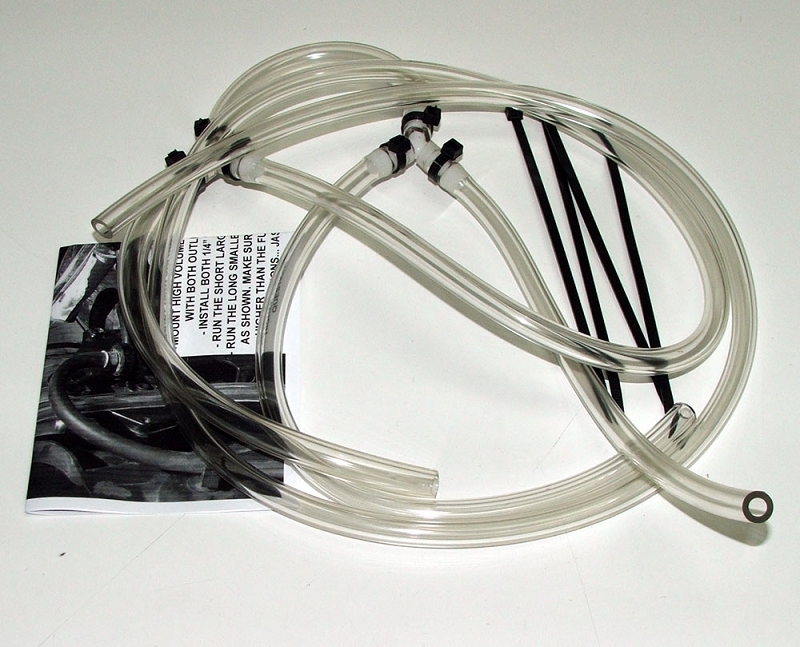 The Weller fuel line kit solve the problems. Plenty of line to properly route everything. Same type of lines I use on my jet skis. Fuel flows great! I recommend everyone replace their stock fuel pump with a high volume one. The Weller kit has the same pump I have. Now my Rhino starts quickly even after sitting for a while. You can see the pump working and you still have the stock rollover shut off. MY Rhino had the Mikuni double pump with the rubber block off on one side sold that is on other websites. When they get a few months old they start to crack and spray fuel on the back of the passenger seat! This kit utilizes both ports of the fuel pump and explains the correct fuel line routing to maintain the fuel pressure. everything is included. Much safer, you can see the fuel flow, and cold starts much quicker!!!! The best $20 you'll spend on a Rhino!! !